The episode seem to have the theme of family love as its focus when we find many scenes repeating it. Still, when we were watching the episode, it felt like it was going in all directions with switches between what felt like so many different scenes that didn’t build on each other. There were a lot of little incidents happening that either were used to progress other things along or appeared to crudely tie up any loose ends. We weren’t very excited when watching this episode. We didn’t find a lot we enjoyed. We’d say we paid attention to the Meng Ru Xi and Huo Tian Zhi parts. We like seeing Ah Wei on the screen and it was sort of nice that he gets a confession of his own even though it came out of nowhere. Everything else: we just watched because it was there on the screen. 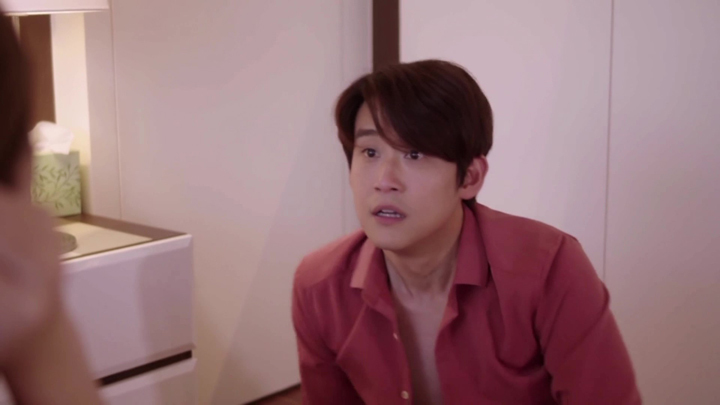 Huo Tian Zhi makes a lot of noise as he continues to move around Meng Ru Xi’s room. When he comes across one of Meng Ru Xi’s undergarments on the floor, he recalls the intimate night he spent with Meng Ru Xi. Meng Ru Xi, who had been awake, pushes aside her embarrassment and gets out from under the covers. She lies on her stomach and faces Huo Tian Zhi with a cute smile and says ‘Hi’ to him. Huo Tian Zhi returns the greeting with a ‘Hi’ as well. Huo Tian Zhi says he’ll take responsibility for what happened between them the previous night. Meng Ru Xi declines, however. She firmly tells Huo Tian Zhi he doesn’t need to take responsibility before ending that and asks him if he wanted to have breakfast with her. Huo Tian Zhi will. Meng Ru Xi and Huo Tian Zhi comes to be before Meng Ru Xi’s dad. Huo Tian Zhi panics. However, Meng Ru Xi’s dad is pretty relaxed about seeing Huo Tian Zhi coming out of Meng Ru Xi’s room. He even offers Huo Tian Zhi a seat. However, Meng Ru Xi feels it’s best Huo Tian Zhi leaves. After apologising to Meng Ru Xi and her father for troubling them both, Huo Tian Zhi leaves. The sight of Huo Tian Zhi coming out of Meng Ru Xi’s room in the morning is not objected by Meng Ru Xi’s dad because it has benefits for business. Meng Ru Xi objects to this. She wants to make her own decision on her future. Her father, however, tells her he has made his decision. This has Meng Ru Xi leave in anger. 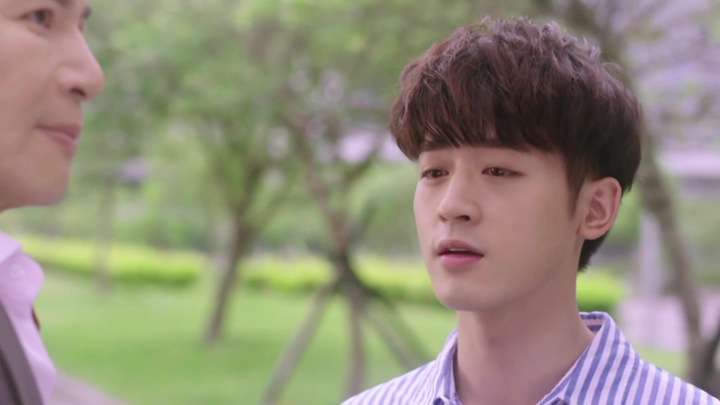 Ah Wei thinks about his position with regards to Wei Fen Qing after watching on a couple-like display of Huo Ting En and Wei Fen Qing argue over the copyright of the coronation chicken sandwich which both had a hand in creating. Peng Xiao Bin listens on as Ah Wei speaks. Ah Wei’s dad feels it’s time for Ah Wei to come home. Ah Wei isn’t ready to come home yet. Ah Wei’s dad feels it’s because of Wei Fen Qing. This fact of Wei Fen Qing being the reason Ah Wei is reluctant to come home doesn’t concern Ah Wei’s dad. The concern Ah Wei’s dad has is Ah Wei not learning from his past experience with the ex-girlfriend who left him because his person is underwhelming. Ah Wei understands his dad’s thinking. However, he believes hard work can also obtain happiness. The two years he’s been out in the world, out with the night market people, he sees there are many in the world who don’t have a great family background to rely on yet they still can live well and be happy through relying on themselves and their hard work. Ah Wei express appreciation towards having such an opportunity to learn this different way of living and obtaining happiness from being with his night market friends, expressing how he would have not been able to learn all of this if he had lived at home. 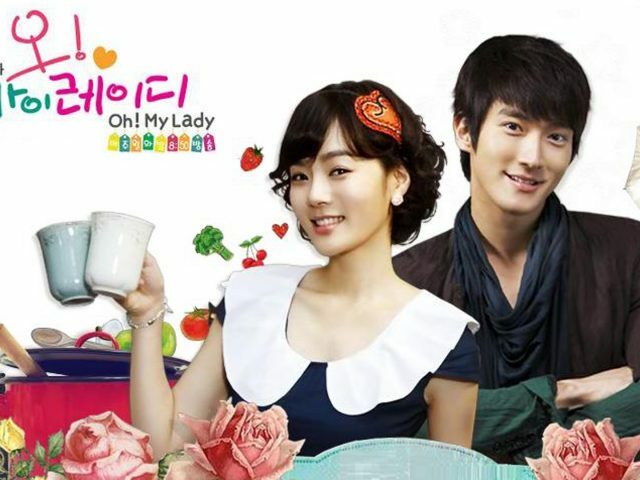 The night market crew become worried about Yu-jie (Xie Li Jin), the oyster omelette stall owner. Uncle Spare Ribs (Gao Wei Ting) inform Yu-jie has not opened her stall for days and she’s nowhere to be seen at home. Yu-jie also has their group’s money contributions. While the night market crew feel concerned about Yu-jie’s well-being, Huo Ting En feel Yu-jie may have hidden something from them. The night market crew disagree with Huo Ting En’s view of the situation. The night market crew break into groups to look for Yu-jie. Whilst on the task of looking for Yu-jie, a confession comes from Zhen Zhen (An Ji), the balloon shoot stall owner, to Ah Wei. Zhen Zhen gets out a big exhale before she asks Ah Wei if they are still friends. Ah Wei says they definitely are still friends. Zhen Zhen leaves with a held back sadness. She wipes a tear in her eyes after she sits with Ah Wang (Stanley Mei), the barbecue meat stall owner who yawns then stretches his arms looking to want to put an arm around Zhen Zhen to comfort her. He never makes it to completing the move when Ah Wei spots Yu-jie up ahead to where his eyes looked. He has Ah Wang and Zhen Zhen see if he’d seen correctly before instructing them to head up to Yu-jie. 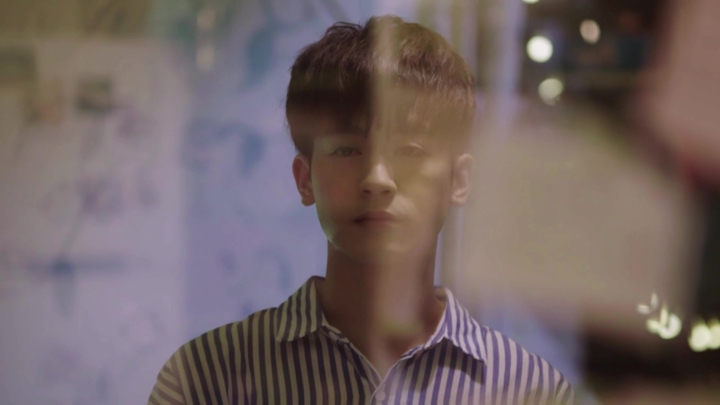 Meanwhile, Wei Fen Qing along with Huo Ting En and Peng Xiao Bin are at Yanis after Wei Fen Qing finds out Wei Cheng Yang was not being paid for his work and the company was not giving him the credits to graduate. She speaks to Huo Tian Zhi at his General Manager office. It’s Gong Mei Li who had given the order. 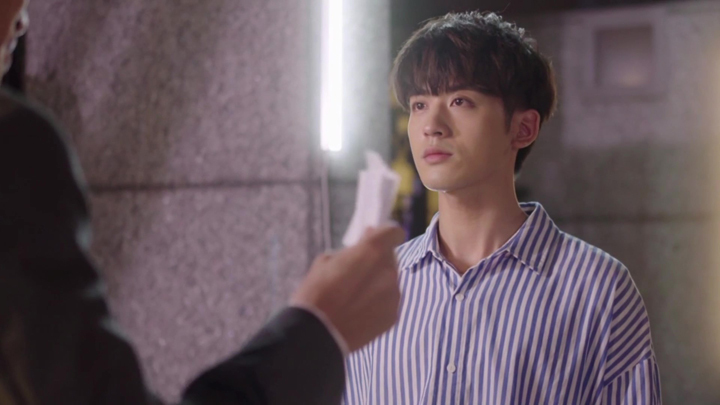 Huo Tian Zhi and everyone is informed of this after Huo Tian Zhi agrees to Huo Ting En’s request to bring the person in charge of the interns to come in and explain the situation. We see the situation that’s taking place at Yanis is Yanis seemingly having some financial issues. Before Wei Fen Qing entered demanding explanations for why Wei Cheng Yang wasn’t being paid for his work, we heard Huo Tian Zhi surprised by some bill he wasn’t aware was coming again next month. In front of Huo Ting En and the others, Huo Tian Zhi doesn’t budge from listening to Huo Ting En’s criticism of not undoing Gong Mei Li’s order. 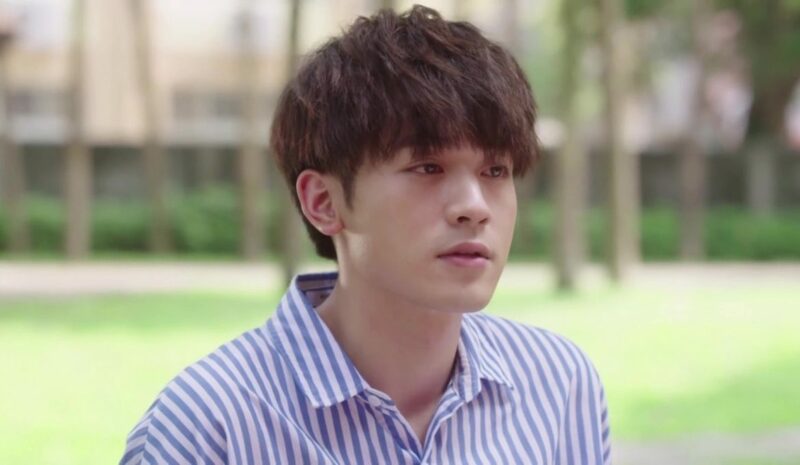 After they leave, though, Huo Tian Zhi instruct the person in charge of the interns to give Wei Cheng Yang what he was entitled to. Wei Cheng Yang is actually fine with the situation, though. This response from Wei Cheng Yang doesn’t go down well with Wei Fen Qing. She wants Wei Cheng Yang to at least get an education if he isn’t going to become a chef. Wei Cheng Yang runs out on Wei Fen Qing, leaving Wei Fen Qing calling out to him. 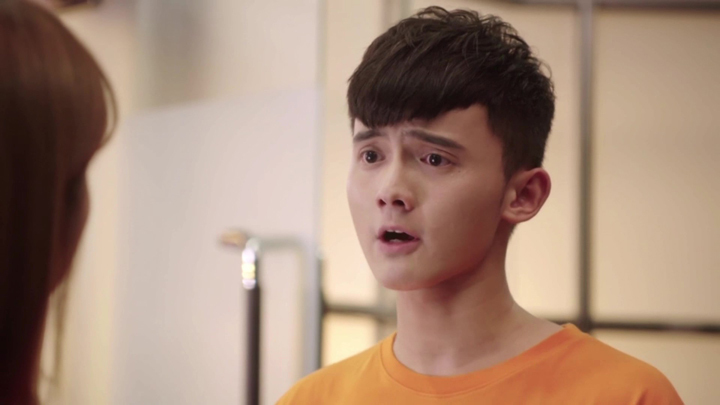 Huo Ting En says for Wei Fen Qing to let Wei Cheng Yang go and not continue making him do things he doesn’t want to do. 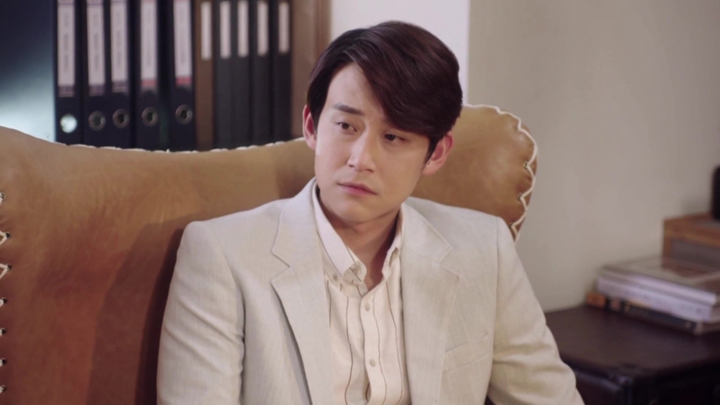 Huo Ting En uses the situation of him and Ting Li to back up his view on handling Wei Cheng Yang. 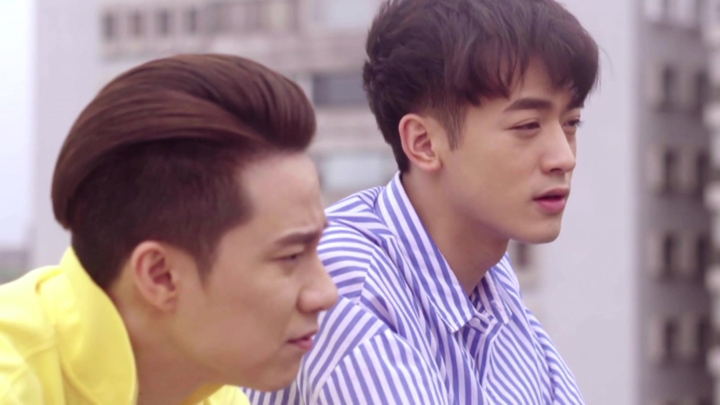 Huo Ting En, Wei Fen Qing and Peng Xiao Bin are brought over to gather with Ah Wei and the night market crew to hear Yu-jie explain her situation. Yu-jie had the bag with the money after a meal with her mother-in-law. Yu-jie had tried watching her everyday to hopefully see her find the bag with their money in it, but had no luck. Huo Ting En comes up with an idea that he hopes can have Yu-jie’s mother-in-law show them where it is with turning on her body memory. Huo Ting En turns his attention to Wei Fen Qing and uses this explanation to explain his view on handling Wei Cheng Yang’s situation. Back to getting Yu-jie’s mother-in-law to show where the bag with their money is, Huo Ting En goes to find out the food Yu-jie’s mother-in-law ate. The food she ate was egg fried rice. He comes up with the idea that soy sauce could be the trigger to have Yu-jie’s mother-in-law show them where she’d placed the bag. After Huo Ting En finishes cooking the dish, Yu-jie’s mother-in-law comes alive. She leads them all to an empty home where Yu-jie explains was the previous home she lived in. Yu-jie’s mother-in-law goes to open a container with possessions. She begins speaking as she holds up a bag of biscuits then a pearl necklace. The person Yu-jie’s mother-in-law was talking to is Yu-jie’s husband and Yu-jie’s mother-in-law’s son who had died at around Huo Ting En’s age. His name is Ah Xiong—as we find out, when suddenly, Yu-jie’s mother-in-law runs up to Huo Ting En and hugs him. Huo Ting En simply plays the role of Ah Xiong. 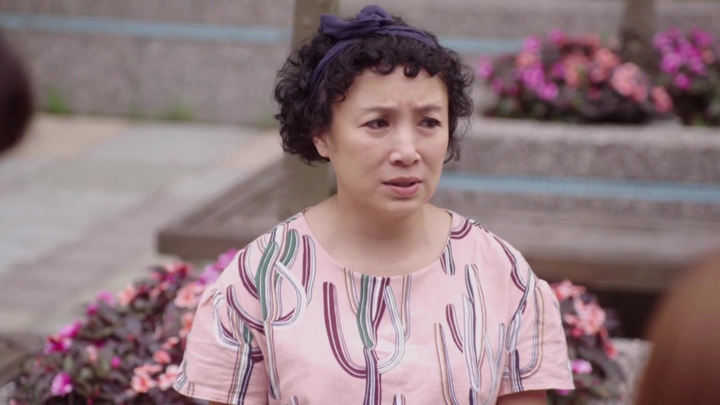 Huo Ting En responds to Yu-jie’s mother-in-law’s words that expressed her missing him and wanting him to see the many good things she saved for him. The words Huo Ting En says are those he says as if he’s speaking to his mother. As Huo Ting En responds, we are shown periods of time in Huo Ting En’s childhood. The incident with Yu-jie’s mother-in-law seem to have Huo Ting En feel he’d not shown appreciation for the love and care his mum had given him. He meets up with his mother and expresses thanks for raising him and provides her an apology because he feels he always needs to. 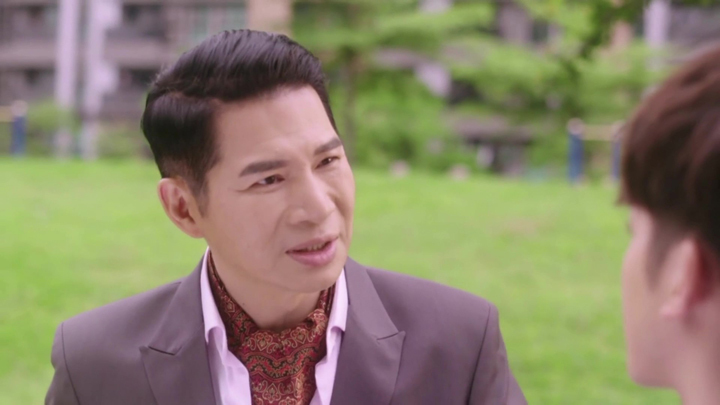 This meeting is also one where Huo Ting En is caught up with the situation around the secret Huo Tian Zhi and Gong Mei Li has between them regarding Gong Mei Li moving company funds without permission (Episode 16). Ah Wei is outside his father’s home. Ah Wei standing outside seem perfectly-timed when Ah Wei’s dad appears to have wanted to see him and have a talk with him. Ah Wei’s dad pulls out a cheque. He says he had heard about the night market people wishing to open a restaurant. The cheque is to help Ah Wei help them in that. There is a condition that comes with accepting the cheque, however: Ah Wei must come home. Ah Wei tells his dad that the reason why he’s standing outside their family’s home is because he loves him. He goes to say that Meng Ru Xi also shows her love to him when she agrees to arranged marriages. Ah Wei then criticises the way his dad loves—the way he loves with the offer of the cheque to help him with Wei Fen Qing, for example. Ah Wei’s dad takes the cheque that Ah Wei extends to him. He tears it up and gives Ah Wei his disagreement on Ah Wei’s criticism of him and how he loves. The episodes ends with Ah Wei at Wei Fen Qing’s place. He sees a display of Wei Fen Qing and Huo Ting En kissing. He’s just outside the door. Following the kiss, we find Huo Ting En asking Wei Fen Qing when she’d marry him. Tomorrow morning is when Huo Ting En is thinking of getting the three things for Wei Fen Qing. 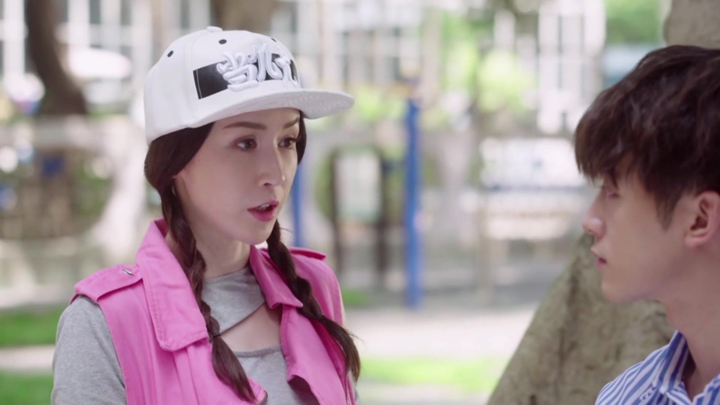 Wei Fen Qing wonders why Huo Ting En is in such a hurry to marry her. Wei Fen Qing tells Huo Ting En they will talk about it again tomorrow. The conversation briefly moves onto nicknames when Huo Ting En wishes Wei Fen Qing to call him something else other than what she used to call him by when they were working at La Mure—Chef—and he didn’t want her to call him by Ting En because his mother called him that. After this, Huo Ting En goes to the bathroom. Ah Wei comes into the house. Wei Fen Qing finds Ah Wei’s behaviour odd after she greets him and Ah Wei looks unsure and appears to look nervous. It’s that Ah Wei wants to confess to her. He confesses. Huo Ting En returns from his trip to the bathroom very soon after this moment. He greets Ah Wei. 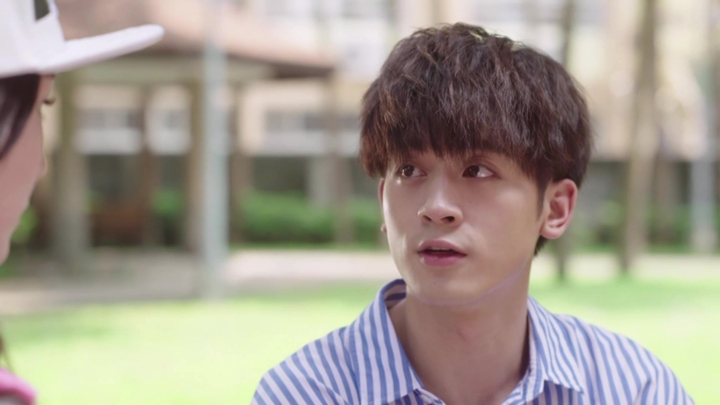 The Perfect Match has not been very big on drama, so we’re expecting the follow up for this end scene to be Ah Wei saying to Wei Fen Qing he’s okay she doesn’t feel the same way and it’s just that he wanted to get his feelings out in the open and hopes they can still be friends. Huo Ting En looked like he hadn’t come back in time to hear anything. So, maybe we might even see it swept under the rug immediately—just like that confession from Zhen Zhen to Ah Wei. That confession from Zhen Zhen to Ah Wei came in and then out. Ah Wei was seen spending a brief moment with some empathetic expression then he went right back to a neutral expression and back to the task of looking out for Yu-jie. Zhen Zhen rarely appeared. 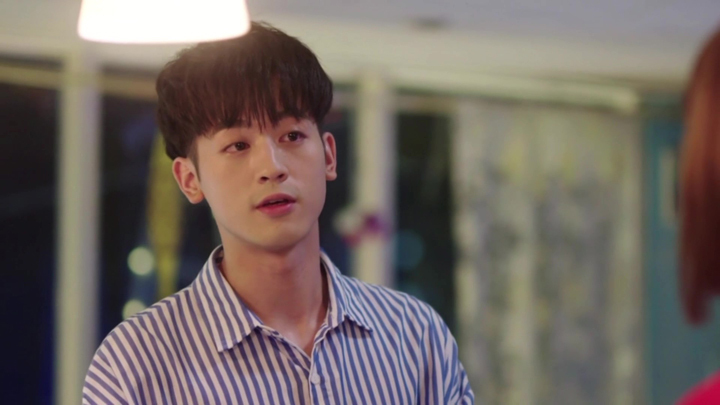 Though it’s great that Ah Wei is not left without someone liking him and confessing to him so that he comes across as desirable too, but this was too sudden and random for us to really appreciate it. There hasn’t been any real development in past episodes to show that someone liked Ah Wei. They could have had Nai Nai or a random girl we’ve not been introduced to before confess and it’d have the same effect. Nai Nai is Zhen Zhen’s little sister, by the way.